Getting tired of bonuses and Free Spins with huge wagering requirements attached? 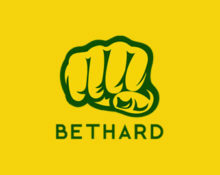 Then Bethard has the right daily offer for you as most of the rewards are completely wager free or come with a ultra low 1x wagering requirement. That means that most of it is cash money, no restrictions, no bonus rules to follow. Claim a daily casino deal for Free Spins, Bonuses, Cashback and Random Cash Drops, for both mobile and desktop gaming. Bethard Summer Sessions – While you enjoy your daily treat, make sure to take part in the 6-week “Summer Sessions” wager race for huge cash prizes, worth a total €30,000. Simply wager until 13th August 2017 on your favorite games to race to the top of the leader board. Monday – Go Mobile: Deposit €20 | €50 from your mobile – receive instantly 10 | 30 Free Spins on the mobile version of Hook’s Heroes. Winnings from the Free Spins are wager free. Wednesday – Spin More: Get 10 Free Spins on Jack and the Beanstalk for every €25 wagered on The Three Musketeers, up to 100 Free Spins, credited on Thursday with no wagering requirements on the FS winnings.